Rebecca began her professional career in healthcare as a Medical Assistant for a Renegade Medical Doctor who offered help to chronically ill patients using therapies that were non-conventional and relied on the body’s natural ability to heal itself. In 1993 she enrolled in Brenneke School of Massage and began what really has become a life long love in the field of natural and wholistic health. 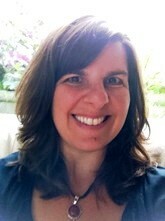 Although initially trained in Swedish Massage, Rebecca has studied many other types of bodywork and energy healing techniques. Then in 2008 she discovered BodyTalk, which she refers to as, “A new paradigm in health”. As Rebecca began treating her clients she noticed that not only were physical problems resolving quickly, but her clients were healing on every level - emotionally, mentally and spiritually. BodyTalk became the backbone of her integrative healing sessions and she continues to be amazed at the power of the body to heal itself. It was in 2016 that Rebecca was introduced to the Seraphim Blueprint System by way of a client. She immediately resonated with the principles of the system and after experiencing the energies for herself, realized what a powerful tool they were for spiritual growth and health. Wanting to be able to empower her clients with this simple method of energy healing, she became a teacher of the Seraphim Blueprint System in 2017, learning directly from the founder, Ruth Rendely. Having worked directly in the Healing Arts field for over 30 years she brings a wealth of wisdom and information to both her individual healing sessions and her teaching of The Seraphim Blueprint. Rebecca mostly teaches classes on Thursdays and Sundays. Please check her website for the latest class schedule.